January 31, 1992 - Trans World Airlines filed for protection under Chapter 11 of the bankruptcy laws, announcing a plan under which chairman Carl Icahn would lose his controlling interest after one year. TWA employees acquired substantial interests in TWA. February 24, 1992 - Andrew Hill "Andy" Card, Jr. was named the new Secretary of Transportation. Previously he had been White House Chief of Staff under President George W. Bush. He attended the United States Merchant Marine Academy, received a B.S. from the University of South Carolina, Harvard University and the John F. Kennedy School of Government. Cleared for takeoff, the nose gear left the ground and 4.8 seconds later, the sound of stick shaker began. Six stall warnings sounded, and the jet began rolling to the left. 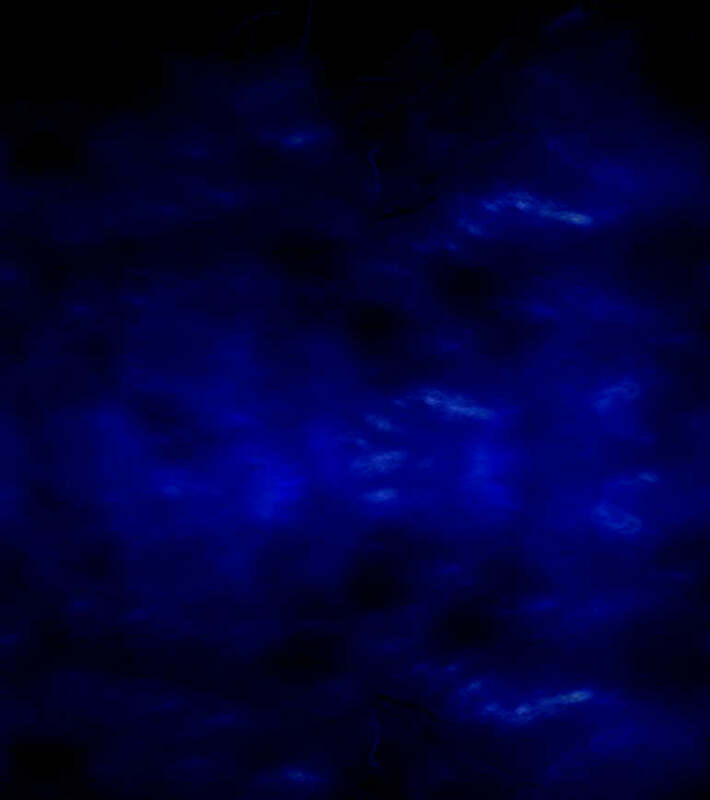 The captain leveled the wings, and they headed toward the blackness over the water. They used right rudder to maneuver the jet back toward the ground and avoid the water, trying to keep the nose up to impact in a flat attitude. The jet came to rest partially inverted after hitting multiple obstructions before coming to rest at the edge of Flushing Bay, and parts of the fuselage and cockpit were submerged in water. Several small fires broke out on the wreckage debris. The NTSB cited the probable cause as the failure of the airline industry and the FAA to provide flight crews with procedures and requirements compatible with departure delays in conditions conducive to icing. Also the flight crew's decision to take off without positive assurance that the airplane's wings were ice-free after 35 minutes exposure to precipitation following deicing. The ice contamination on the wings resulted in an aerodynamic stall and loss of control after lift-off. Contributing to the accident were the inappropriate procedures used by, and inadequate coordination between the flight crew that led to a takeoff rotation at a lower than prescribed air speed. The FAA now requires flight crew members and appropriate ground personnel responsible for the inspection of transport-category airplanes for wing contamination receive specific periodic training that will illustrate what contamination looks like and feels like on a wing and the amount of contamination that is detectable under different light conditions. They also ordered airlines to establish a way to inform flight crews of the type of deicing fluid and mixture used, the current moisture accumulation rate, and the available holdover time. June 27, 1992 - General Thomas C. Richards (USAF, Ret.) became FAA's 12th Administrator, succeeding James Busey. He was also the former chief of staff of the Supreme Headquarters Allied Powers Europe. He earned a B.S. in business administration from Virginia Polytechnic Institute in 1956. The following year he entered pilot training and earned his wings at Goodfellow AFB, Texas. He was a B-47 Stratojet co-pilot with the Strategic Air Command's 19th Bombardment Wing, Homestead AFB, Florida. In 1963 he completed Squadron Officer School and received B-52 Stratofortress combat crew training at Castle Air Force Base, California. He also was an aircraft commander on the first B-52 combat mission over Vietnam. In 1969 he served as an executive officer, squadron air officer commanding and group air officer commanding at the United States Air Force Academy, Colorado. He graduated from the Army War College in 1973 when he became wing deputy commander at Lackland Air Force Base, Texas. Other positions include commander of the Kessler Technical Training Center at Kessler AFB, Mississippi; Commander, 8th Air Force, Barksdale AFB, Louisiana and commander of Air University, Maxwell AFB, Alabama. July 20, 1992 - One of the Navy Department's 5 prototypes of the V-22 Osprey tilt-rotor aircraft crashed in the Potomac River, killing all 7 people aboard. The Navy Department suspended V-22 flight testing until after an accident report. July 30, 1992 - TWA Flight 843, a Lockheed L-1011 aborts a takeoff at JFK Airport in New York to San Francisco, CA, turns off the runway onto grass in order to avoid striking a concrete barrier. The jet was destroyed by an intense fire after all 292 passengers and crew evacuated with no loss of life. The fire destroyed the aircraft. The NTSB attributed this crash to pilot error and TWA training and maintenance issues. The takeoff was improperly aborted by the captain shortly after liftoff, due to the erroneous activation of the stick-shaker stall warning device, when in fact the aircraft was performing normally and could have taken off safely. The extremely hard landing, after the plane only reached 60 feet in altitude, caused damage to the right wing, spilling fuel which was then ingested into the engines and started the fire. 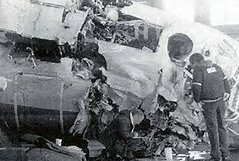 Also noted were design deficiencies in the stall warning system that permitted a defect to go undetected; the failure of TWA's maintenance program to correct a repetitive malfunction of the stall warning system, and inadequate crew coordination between the captain and the first officer that resulted in their inappropriate response to a false stall warning. The FAA issued a bulletin to airlines to include in the training and procedures, a requirement for crew coordination briefings on actions to take in the event of abnormal situations during the takeoff and initial climb phase of flight, and the proper techniques for the transfer of control of the airplane, especially during time-critical phases of flight. The Cessna jet rolled rapidly to an inverted position and descended almost vertically into the ground while approaching Billings Runway 27R. Wake turbulence from a preceding Boeing B-757 was the cause of the accident. Horizontal separation was decreasing below 2.6 miles. The NTSB listed the probable cause as the pilot-in-command's failure to follow established vortex avoidance procedures to provide his own wake turbulence separation. The pilot failed to follow established wake turbulence procedures. January 20, 1993 - William J. Clinton became President of the United States, succeeding George H.W. Bush. FAA's Administrator Thomas C. Richards left office with the Bush Administration, and Joseph M. Del Balzo became Acting Administrator. Bill Clinton was the 40th Governor of Arkansas from 1979-1981, and also the 42nd Governor from 1983-1992. He is an alumnus of Georgetown University where he earned a Rhodes Scholarship to Attend the University Of Oxford. He also attended Yale Law School and earned a Juris Doctor (J.D.) degree. January 21, 1993 - Federico Fabian Pena became Secretary of Transportation, succeeding Andrew H. Card with the change of Administrations. A former member of the Colorado legislature and two-term mayor of Denver, Pena had been a strong advocate of the new Denver airport. Pena earned a B.A. and a J.D. from the University of Txas in Austin and the University of Texas School of Law. 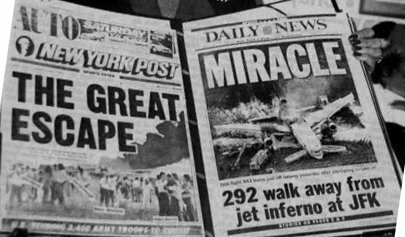 February 11, 1993 - Lufthansa Flight 592, an Airbus A-310, was hijacked by an Ethiopian man who forced the pilot to fly to New York's JFK International Airport. The jet landed safely, and the gunman surrendered without incident. He was charged with air piracy and sentenced to 20 years in prison. The hijacker took advantage of the airport security by stuffing a pistol deep into his hat and then placing his hat on the table adjacent to the scanner. The security guards were not as strict, since the incident took place before 9/11. 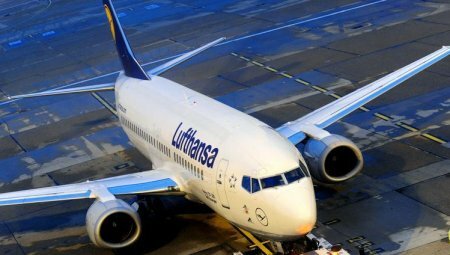 About 35 minutes into the flight from Frankfurt, Germany reaching cruising altitude in Austrian airspace, the hijacker entered the forward lavatory, put on a black ski mask and removed his pistol. He entered the cockpit, which was unlocked and placing the pistol to the pilot's head said "if you do not turn west, I'll shoot you." The hijacker demanded that the aircraft be flown to New York City and demanded political asylum in the United States. He agreed to a refueling stop at Hannover, Germany where the jet was surrounded by law enforcement officials. The hijacker still had his pistol to the pilot's head, and threatened to begin killing a flight attendant every 5 minutes. The jet was allowed to leave after he promised to surrender peacefully upon reaching the United States. All 94 passengers and 10 crew members were unharmed. February 22, 1993 - The first prototype of the McDonnell Douglas MD-90 series, a follow-up of the MD-80, made its initial flight. The McDonnell Douglas MD-90 is a twin-engine, short-to-medium range, single-aisle commercial jet airliner. Differences from the MD-80 include more fuel efficient International Aero Engines V2500 and longer fuselage. It has a seating capacity of up to 172 passengers. August 1, 1993 - A new collective bargaining agreement between the FAA and the National Air Traffic Controllers Association (NATCA) went into effect. The 4-year agreement covered all operational Air Traffic Controller specialists in terminals and centers. August 10, 1993 - David Russell Hinson became FAA's 13th Administrator succeeding Thomas C. Richards. A native of Oklahoma, Hinson had a B.S. from the University of Washington; served as a naval aviator and also as a pilot for Northwest Airlines. In 1961 he became a flight instructor for United Airlines and later became a captain and director of flight training for West Coast Airlines. In 1978 he joined with three others to start Midway Airlines. He served as chairman for 6 years, and later as the Executive Vice President for Douglas Aircraft, a subsidiary of McDonnell Douglas. August 12, 1993 - The Clinton Administration announced that Air Traffic Controllers fired for participating in the PATCO strike (1981), could apply for reemployment. However the FAA had already imposed a hiring freeze because of budget restrictions. The NTSB cited the probable cause as pilot error in failing to ensure that the plane remained in VFR conditions over mountainous terrain. The plane was flying at 2,000 feet until it struck the high terrain, while the pilot-in-command was awaiting an IFR clearance. Also noted were deficiencies in the FAA's management of its flying program. The FAA then made extensive changes in training procedures and oversights relating to its flight operations. November 18, 1993 - American Airlines flight attendants went on strike, forcing the airline to cancel or delay flights. The disputed issues centered on scheduling, pay, and health benefits. 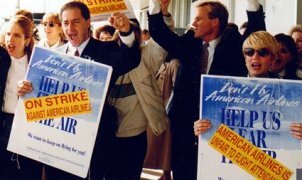 Four days later, President Clinton interceded in the five-day old strike, persuading the union and the airline to agree to binding arbitration. The crew requested an approach to Runway 13 instead of Runway 31, which was covered with precipitation. They started the approach procedure and intercepted the localizer at 8,000 feet MSL. This delayed the start of the descent and thus required an excessive rate of descent and struck the top of a tree, and then a group of aspen trees. Finally the plane collided with two ridges and came to rest inverted and lying on its right side. During NTSB's investigation, it was learned that the captain had failed 3 semiannual proficiency checks over the last 5 years. He was said to have a reputation for being deliberately rough on the flight controls. 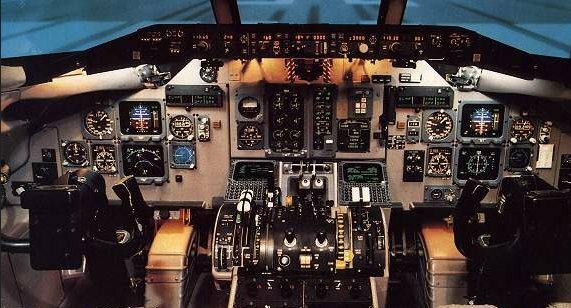 A chief pilot described the captain as competent but intimidating and provocative with colleagues. The NTSB listed the probable cause of this crash as "The captain's actions that led to a breakdown in crew coordination and the loss of altitude awareness during an unstabilized approach in night instrument meteorological conditions." Contributing to this accident was the failure of the company management to adequately address the previously identified deficiencies in airmanship and Crew Resource Management of the captain; the failure of the company to identify and correct unapproved practice during instrument approach procedures; and the FAA's inadequate surveillance and oversight of Northwest Airlink. December 15, 1993 - The crash of a private jet, (an Israel Aircraft Industries Westwind II - also called Commodore Jet), following a United Airlines Boeing B-757 occurred when they hit unusually powerful wake turbulence. On the voice recorder, the Westwind Jet co-pilot suggested that they were 'kinda close' to the Boeing jet landing in front of them. The Westwind was 400 feet below the flight path of the B-757 when they encountered the B-757's wake turbulence. They should have been at the same level or above, because the turbulence tends to fall below the glide path. The NTSB identified the cause of the accident was the turbulence from the B-757 that landed in front of the Westwind Jet, causing invisible "horizontal tornadoes" from each wingtip. Wake turbulence poses the greatest danger during landing and takeoff, because the affected plane does not have enough airspace to carry out defensive maneuvers. The pilot-in-command failed to maintain adequate separation behind the B-757 and/or remain above its flight path during the approach. Also noted was an inadequacy in the ATC procedure for visual approaches and VFR operations behind heavier airplanes. Three other incidents possibly related to wake turbulence included a Cessna Citation crash at Billings, Montana last year; a B-737 that went into a roll at Denver, and a Cessna-182 at Salt Lake City. The NTSB is aware of the B-757's turbulence problems, and that the wake turbulence from the B-757 was stronger than that of some giant military cargo planes.